Which Australian tarantula do you recommend? Discussion in 'Tarantula Chat' started by hyllusgiganteus, Dec 3, 2013. As a beginner, I don't want to start with aggressive species, especially Selenocosmia crassipes. Is there any docile Australian tarantula species? Any perfect for beginners. I would get a Mexican red knee as a beginner, as they are docile, however importing exotics are strictly forbidden. No there are no docile Australian species. Basically any old world you can find will be very high strung and skittish/ defensive. Some more so than others, but there is no such thing as a docile OW. There's more species than that though. There's a few in the US that aren't on that list (that made it out of Australia due to Steve's efforts). OK guys i've decided to get Selenotypus Plumipes. I just have one more question. In our house we regularly get common crickets. I probably have to mortein 2 or more everyday because they are pests. This is the species. Can I feed the tarantula this species or does it have to be a specific species of cricket that I have buy from the shop? the generally rule of thumb is not to feed your T's wild caught food. the reason being they could be sick or have parasites that might transfer to your T's, also they may have pesticides on them and could make your T sick or die. Wouldn't keeping Ts too clean and feeding them clean food affect their immune system? I am sort of thinking of humans here. Please read this article:http://www.dailytelegraph.com.au/ne...o-build-immunity/story-fni0cx12-1226706999900. I know that humans are very different to tarantulas. But the concept is the same. If the tarantulas are kept in a parasite free environment with clean food, how could they possibly survive in the wild where there are germs and parasites everywhere(their natural home). Wouldn't keeping them in a clean environment decrease their immune system? You are not giving your Ts a common cold from feeding pesticide contaminated feed. Pesticides are POISON to spiders. Should we give you arsenic and mercury to build up your immune system? I was going to post something snarky and rude about Ts not getting eczema or allergies and then I decided to be nice and click on your link instead before posting... and it's about eczema?! 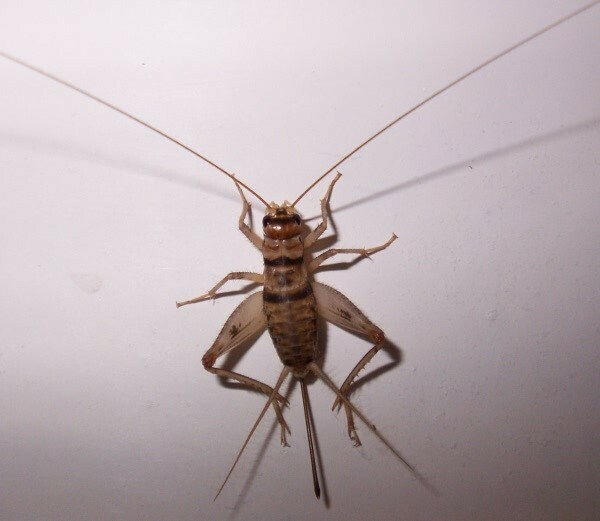 The problem with WC crickets is the risk of pesticides first and foremost. I don't want to generalize about Australians overusing pesticides because the US is probably just as bad, if not worse. With parasites, we likely have no idea what is living on and in our pets. That includes dogs, cats, reptiles, goldfish, and tarantulas. Parasites that are found and recorded are the really awful ones--heartworm in dogs, nematodes in tarantulas. You wouldn't try to expose a dog to a bunch of mosquitoes to boost their immunity against heartworm, would you? Or a child, to protect against malaria? This eczema thing is not translatable to invertebrates. If you want to expose your T to an immunity-boosting environment, feed it store-bought crickets (that probably have mites) and give it tap water to drink, and if you really want to walk on the wild side, reuse its substrate! Anything further is reckless and not super sensible. I know this is an old post but in case your still on the board wanted to ask how you got on? As an Aussie too, genuinely interested in fellow Aussie T lovers experiences. Why are we not allowed to delete our own posts any longer?? Athenaandtam, the op hasn't been active on AB since 2014, I highly doubt he will give an answer. Such sarcasm on this board,lol. I did state that I was aware it was an thread, but on the off chance wouldn't hurt. Steve told me he exported 5 species of Phlogius: crassipes, Eunice, Stents, Black Pressley, and Goliath, along with several species of Selenotypus. In the US, all of the Phlogius have been reproduced and slings offered for sale, but since Selenotypus are slower growing, the females may not matured yet, which would account for them being under the radar. True. I've heard that in one of your posts before... you are lucky. This is definitely one genus that, outside Australia, is "more" available (for saying) in the U.S than Europe. I'm surprised. You guys are ahead of us in breeding 95% of the species (and almost all of ours originated as CBB slings from Europe). I've not seen those even in last Marbach Vogelspinnenbörse (you know well that Germany is one of the leading T's nation, and recently Poland and the Eastern part joined well btw) nor from a very famous Hungary breeder/seller. They are IMO like Holy Grail.